Contact Downtown Miami Accident Lawyers Gerson & Schwartz, P.A. Lost lives due to accidents are more common in Miami than we would like it to be. As Downtown Miami wrongful death lawyers we are often in contact with people who have lost a loved one here. We all have also lost someone we love, and we know how you feel at the moment. It is understandable that financial recovery is not what you want to focus at the moment, but you should know that as a survivor you may be entitled to compensation. It is also likely that getting compensated for your loss will give you a feeling of justice and will help you recover emotionally to some degree from the tragedy as well. If you need help with that, let's start with free consultations at (305) 371-6000. 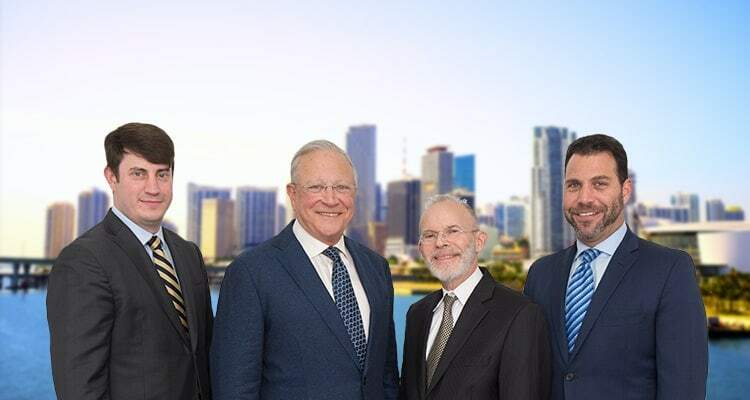 Philip Gerson, Edward Schwartz, and Nicholas Gerson are the Downtown Miami wrongful death attorneys and personal injury lawyers with more than 40 years of experience in helping victims of negligence. Tell us your story, and we will present you with your options to the best of our experience and knowledge, all free of charge. We don't ask for fees unless we recover damages for you. 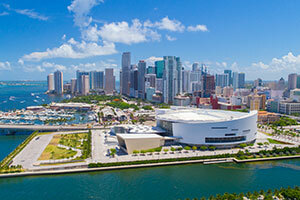 Downtown Miami is the center of the Miami metropolitan area. It consists of multiple parts: Historic District, Brickell Financial District, The Arts and Entertainment District, and Park West. The area overlooks the Atlantic Ocean and Biscayne Bay on the east. On other sides, it borders with Brickell, Edgewater, Allapattah, Little Havana, and Coral Way. Downtown Miami is the most densely populated neighborhood in the city. There are almost 90,000 people living on less than four square miles, not to mention all those who come there for work or for tourism. The daytime foot traffic is estimated at 250,000 people. When it comes to wrongful deaths, auto accidents and crime incidents are usually to blame. There is no risk in calling us at Gerson & Schwartz for help. Our consultations are free and bring no obligation to hire us. You’ll know where you stand now and what comes next. If you want us to represent you, we won’t charge any fees until we get you compensated. Reach us now at (305) 371-6000.